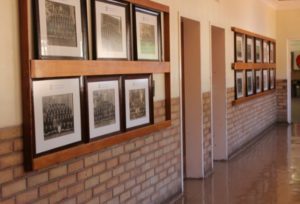 Since opening our doors in 1890, boarding has been an integral part of life at Jeppe. It has provided a ‘home away from home’ for many, and the energy to keep our campus alive long after the final lesson of the day. At Jeppe, we achieve outstanding success in those things society likes to measure, and we value our holistic approach to school life, one that sets the same expectations and standards for our students whether they are pursuing their academic goals, pulling on their sports kit, singing in the choir, learning lines for a play or heading off to a camp. We believe in establishing a solid foundation whilst igniting the passion for future growth. Our strong traditions breed values of integrity and service. Our educators deliver an innovative curriculum promoting curiosity, initiative and leadership. In addition to all that goes on in a busy week at Jeppe, our boarders come together to perform and compete against each other in the house groups. This encourages them to get involved in all the events – a great way of discovering their individual interests which will accompany them through life. By being part of a residential community, our boarders learn to share their lives and appreciate how their quality of life is inextricably linked to those around them. This richly diverse environment fosters self-worth, compassion, tolerance, adaptability and nurturing skills which make for lifelong friendships. It is a busy life built on tradition and respect, one which offers time for reflection and generosity in a secure, structured and vibrant environment. Jeppe has much to offer with its extensive grounds and exceptional facilities, but our greatest strength lies in the quality of relationships which exist throughout our community. Nowhere is this more apparent than amongst our boarders. 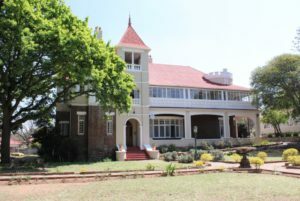 Jeppe accommodates approximately 220 boarders in one of three senior boarding houses: Tsessebe House, Oribi House and Sable House, and an additional 60 boys in the Edgar Droste House, which is exclusively for Grade 8 learners. We seek to provide our boys with a second home, one to which they look forward to returning either on a Sunday evening or Monday morning, and as much as they look forward to going to their homes over the weekend. Being a boarder enables a boy to take full advantage of the facilities and opportunities that the school offers, without wasting hours of his time travelling to and from the school. Our boys are encouraged (but not coerced) to participate in a broad range of activities, whether competitively in school teams, or socially, and this includes inter-house competition. Boarding encourages self-reliance, camaraderie, and consideration for others. We ask our boys to develop self-discipline rather than have discipline imposed upon them. Our ethos is based on the broad egalitarian and libertarian principles of the South African Schools’ Act. Senior boys do not enjoy automatic privilege on account of age. Privilege, where it exists at all, has to be earned. The physical structure of the house encourages a sense of unity, as all the dormitories are arranged around one central landing. Most boys seem to develop a strong sense of brotherhood. Each of the three boarding houses is well staffed. Houses are under the direction of a Head of House, who is a member of the teaching staff and resides in the house. 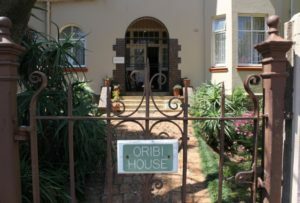 Four single members of staff are also resident in each house, with other staff members living with their families in flats and houses nearby. There is resident matron in each house who look after the needs of the boys living away from home. In all, there are about 30 members of staff providing care and encouragement for boarders. The school also has a full time counsellor who resides on the premisis. 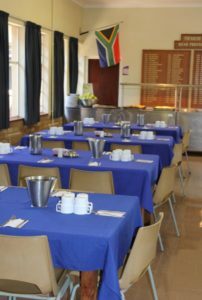 Boarders are able to use Jeppe’s excellent facilities to their full potential. The Library and Computer Centre remain open on weekdays from 8.00 am to 5.00 pm, and the extensive school grounds, and most of the sporting facilities are available for use by boarders during leisure hours, with an Astroturf, basketball courts, squash courts, tennis courts, a swimming pool, a gymnasium, and 6 sport fields in which to expend their energy. Homework is supervised on week day evenings by the House Master on duty. Help is never far away, whether from a member of staff, an older boy, or from a student in the same year level. There is a structured approach to study to ensure all students perform to the best of their ability. For boys that may require it, extra lessons are available from all subject teachers after school. 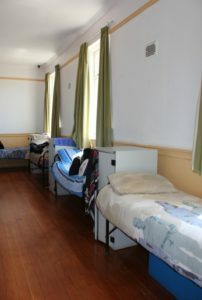 All 4 boarding houses have Internet as well as computers and printers for boys to do research work and printing. All meals are served in separate dining halls adjacent to the living accommodation. The food is of a high standard and is prepared in a modern kitchen. Every endeavour is made to ensure that each boy receives a balanced diet, and there is sufficient food for healthy appetites. Boys with special food requirements are catered for within limits and all meals are supervised by several staff members. Each house also has a kitchenette, equipped with microwave, refrigerator, toaster and electric kettle. Boys may use the kitchenette for preparing beverages and light snacks, if they wish. There are recreational rooms in each house, providing comfortable areas for conversation, listening to music or reading. Table tennis tables and pool tables in the common rooms are well used. Separate areas are provided for television viewing which includes DSTV. Jeppe has a doctor on call 24 hours a day. He is also available on request and, together with other consultants used by Jeppe, provides a full range of medical services to ensure the health of boarders. All boarding houses are well stocked with medication administered by the matron. Matron will also hand out medication that is required by boys. NO MEDICATION MAY BE LEFT IN LOCKERS AND DAILY MEDICATION REQUIREMENTS MY ONLY BE ADMINISTERED BY THE HOUSE MATRON. The school also has a physiotherapist on site. A laundry is located in Tsessebe house and is operated on weekdays by Jeppe staff. Termly boarders are not required to do their own washing and ironing; dirty clothes are placed by the boys in their laundry bags and the cleaned, ironed clothes are returned within 24 hours. Sewing is also performed for the boys by the House Matron or her assistant. No extra charge is made for these services if the boy is a termly boarder; weekly boarders may use this service, but will be charged to the parents.